Dr Richard Ekins: Restoring Parliamentary Democracy comes highly recommended. 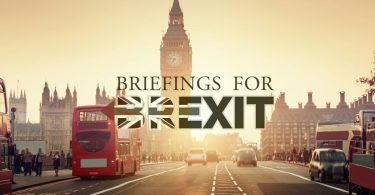 If you haven’t caught up with this week’s new content on www.BriefingsForBexit.com we provide a summary below. Graham Gudgin has had a busy week in Northern Ireland appearing on a hour-long debate on BBC NI TV’s flagship current affairs Spotlight programme, and on several and BBC Radio Ulster broadcasts. He argued the case that the Irish border problem has been hugely exaggerated. The Irish common travel area, a probable UK-EU free-trade agreement, electronic customs clearing (as shown in the EU’s own ‘Smart Borders 2.0’ report authored by the former head of the World Customs Association) and the fact of complete regulatory alignment are enough to solve most of the border problems. The great majority of academic and professional opinion in NI is pro-remain so a pro-Brexit view-point on the BBC NI is an important corrective. Our two latest blog posts are by Professor David Collins on “A New UK – EU Free-Trade Agreement” and Sir Peter Marshall on “The Light at the End of the Tunnel”. Peter Marshall, was a member of the British Diplomatic Service from 1949 to1983. He was successively Economic Under-Secretary at the FCO, Deputy UK Permanent Representative to the UN in New York and Permanent Representative in Geneva. In 1982 he was elected Commonwealth Secretary-General (Economic) an appointment he held until 1988. “It is natural that the question of the Irish border should have gained great prominence. In essence it is a problem, familiar in international negotiations, of reconciling two apparently conflicting sovereignties or integrities. – in this case the integrity of the Single Market on the one hand, and the integrity of the United Kingdom on the other. Just as the British Government has made it clear that it has no intention of impugning the former, so our partners will surely recognise that it would be a grave threat to their own long term interests, as well as a breach of their responsibilities towards another member state, to seek to undermine the latter. Happily, both sides want a solution. A further two new blogs give a weighty analysis of the recently signed Transition Agreement and where the UK stands constitutionally on Brexit. There is real intellectual force and analysis in these two blogs and it again illustrates that Brexiteers can give reasoned credible arguments of historical significance for wanting to leave the EU. “There will be many moments of drama yet to come. The talks will probably go to the wire. Difficulties will probably emerge that nobody has thought of yet. However, for the above reasons I am confident that the UK will in the end achieve an FTA with the EU which is at least Canada plus, plus –that is including a substantial agreement on services, including financial services. There will be a security partnership – we have too much to offer the EU for this not to happen. There will be agreements on aviation, intellectual property rights, education links, nuclear fuels, and the like. We will regain control of our border, laws, money – and fishing waters. Recent events make it clear that the UK fishing industry cannot be ignored – too many Conservative MP’s, including probably all Scottish Tories, would vote against a deal which tried to do so. Mrs May has now pledged that the UK fishing industry will be re-built. The news that the UK has recently taken delivery of the first of five £116m gunboats for the Royal Navy Fishery Protection Squadron is an indication of real intent. You might also enjoy Robert Lee’s footnote on the Passport debate and who should manufacture them. The Former Chair of Vote Leave concludes: “Will this sort of soft Brexit make much difference to the UK’s future economically or in other ways? Probably not. We will neither prosper much more than we otherwise would have done, as Brexiteer optimists hope, but nor will we suffer the decline which Remain pessimists fear. We will pay a bit less, have a bit more control over our laws, our borders, our trade and maybe our fisheries. We will have rather less influence in EU counsels. Victor Jones: “It highlights the sad situation that the EU finds itself in – it has become more concerned about its own institutional survival than about the 500 million people whose interests it is supposed to represent – in fact one could argue that we are at the stage where just like the computer HAL in Kubrics film it has begun to turn against those it is supposed to serve – we know how that ended…. David Rice: “more concerned about its own institutional survival than about the 500 million people whose interests it is supposed to represent”. We are pleased to see more positive reporting of the impact of Brexit on the UK economy. These two BBC programmes scheduled to mark one year since Theresa May triggered Article 50 are well worth a listen and a watch. You may recall Graham had protested to the BBC that he believed its coverage to be biased against Brexit supporters. So having been through the psychological phases of “denial and anger,” after the 2016 referendum decision to leave the EU we are glad to see the BBC finally arrive at the all-important “acceptance” phase. BBC Newsnight’s Katie Razzall looked at the impact of Brexit in Cornwall where there was considerable optimism. She spoke to the fishing community. 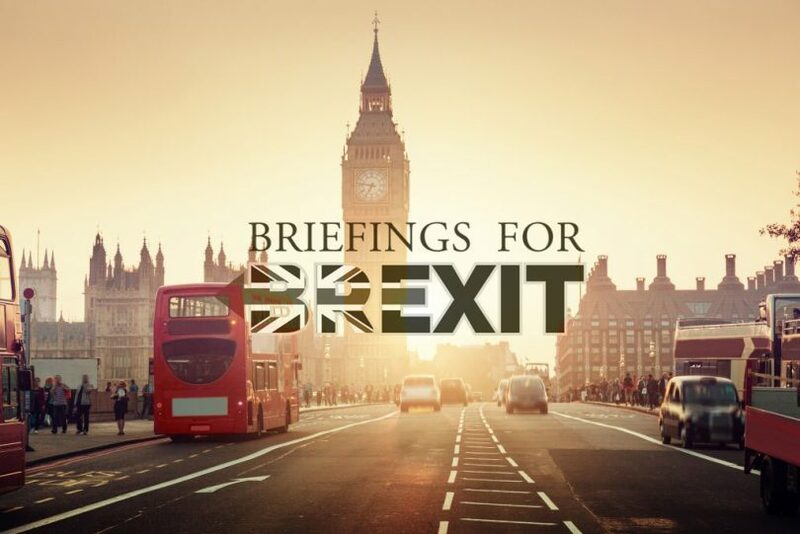 Reporter Ian Martin talked to policy-makers, experts and campaigners about the ideas which could come to fruition after 29 March 2019 including on issues such as the environment. He finds some surprising alliances being forged.